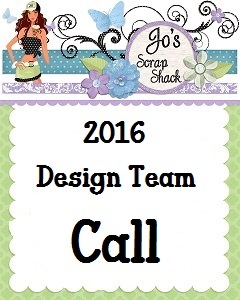 Just a friendly reminder that there is just a week left before the current Design team call closes!!! If you would like to know more about the requirements and the rules on how to apply, just click here. I hope you decide to apply, especially if you are really thinking about it! You won't know if you'll be chosen for our awesome team, if you don't apply! Give it a try! We would love to have you!